Huge selection of garden water features, water blade cascades, pondless features and dancing fountains to suit all budgets and tastes. Water Garden stock and supply a wide selection of decorative water features for garden and pond use and many are incredibly simple to install. Some of our self-contained water features are virtually ready out of the box so you can be enjoying the sights and sounds of moving water within minutes! Self-contained displays are supplied with their own water reservoir and submersible pump and these are recirculating systems, so require no external mains water supply – simply fill the container with water, plug in and enjoy. 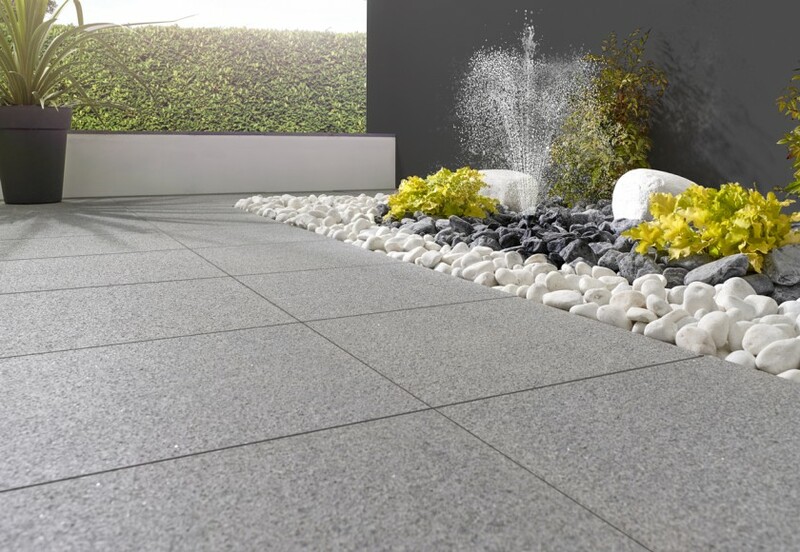 Many of these water features can also be used indoors or in a conservatory so you can bring the soothing sound of water inside your home. Our cascading water blades have proved very popular with architects, landscapers and private customers alike due to the aesthetic appeal of the falling sheet of tranquilised water. 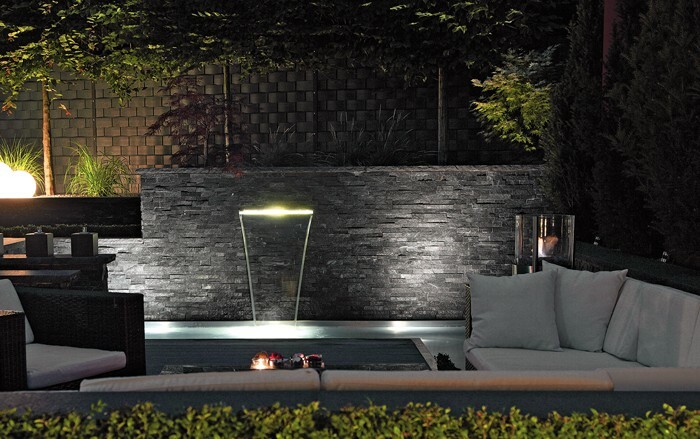 The blade can be built into a new or existing wall and will look stunning, particularly when illuminated. To add an extra dynamic, our dancing water features provide a dynamic water display which is incredibly eye-catching. We can also tailor a combination of features to fit the available space and create bespoke features. The larger dancing pumps can also be connected to a smartphone controller if desired – just enquire for more details and assistance. Pondless water features are also becoming a popular option for those looking for a water display but do not wish for an open pond due to maintenance and/or child safety concerns. Water Garden offer a range of packaged sets for pondless installation but these are just a snapshot of what can be produced. Our team of experts can configure an almost limitless combination of pumps and jet nozzle combinations to create a real wow factor. In addition to our selection of water features, we can also suggest a range of warm white or colour changing LED lights to suit your preferences.